Visa V Stock - Can Outgoing Transactions Lead to Incoming Profits? Visa V Stock Analysis: Like Walmart and other stocks we’ve looked at recently, Visa V Stock is trading near a historic high. Should we buy now hoping that Visa breaks through this imaginary ceiling, or use limit orders and wait for a dip? Let’s find out! I like the idea of going from brick and mortar retailers to a company that facilitates holiday shopping. 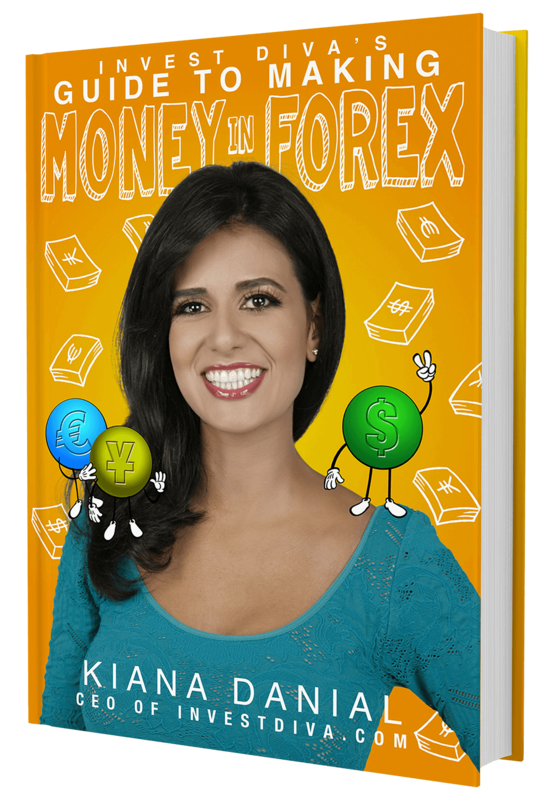 I did think about looking at Amazon (AMZN) stock a bit, but guess what, Kiana discussed Amazon and lots of other options during her LIVE webinar in our Investing Group. This sounds like a plug, but Kiana’s group is super transparent. She shares her portfolio, her limit orders and then offers real-time advice and strategy. The group is awesome! See a trend here? When we think of credit cards, we often think of the banks that are issuing those cards. But Visa is one of the companies that is tied in with the banks to make these transactions possible. So – odds are you know someone who has a visa card in their pocket. Truly. Even if you’re not from the United States, Visa’s reach is so global, you’ll know someone who has a credit or debit card with the Visa logo on it. But here’s where it gets tricky. Visa doesn’t issue the credit card nor does it set the interest rates or subsequently collect interest. Rather, Visa created the infrastructure to facilitate transactions and it charges minuscule amounts per transaction by connecting the customer’s issuing bank to the merchant and to the merchant’s bank. Good to Know: Visa V Stock currently pays $0.195 in dividends, which is roughly 0.7% annually. The next dividend date will be in mid February. Visa V Stock (NYSE: V) was launched in 1958 by Bank of America when they introduced the “BankAmericard” credit card program in California by essentially mass-mailing 60,000 WORKING credit cards to people UNSOLICITED. Yes – you read that right. In 1958 – BoA sent out working credit cards to people who didn’t ask for them. Before we get into the thick of things, I’d like to remind our readers that we use IDDA to analyze stocks like Visa V Stock and our first step is fundamentals! Love our stuff? Make sure you’ve signed up for Kiana’s updates. I touched on it above, but Visa got its start under Bank of America as an unsolicited credit card out operating in California. While credit cards were nothing new, BoA was able to implement an all-purpose credit card, thus reducing the need for consumers to carry a variety of merchant-based cards in their wallets or purses. In the 60s, BoA expanded their credit card program internationally reaching Canada, Europe, and Japan. After some more growth and bringing new parties into the mix, those parties united under the “Visa” name in 1976. During this time, Visa operated under multiple entities until 2006 when the entities merged into one company that issued its IPO in 2007. Good to Know: Visa V Stock has beat earnings estimates four quarters in a row. Q4 earnings will most likely be reported February 1, 2018. Visa V Stock’s numbers are looking very strong. We have a ubiquitous company with a global reach who is involved in millions of transactions per day. Who are they up against? Those are our top 3, but we shouldn’t forget Synchrony or Discover. I mentioned that Visa V Stock is ubiquitous, yes? Well, Visa connects 3.2 billion cardholders and 44 million merchants. With Visa gathering a sliver of every transaction, that is a ton of revenue opportunity. There’s still some growth opportunity because – yes people still do use cash and checks but those folks will continue to move to plastic and digital transactions. In Q4, Visa’s revenue approached $5 billion which equals a 14% growth rate. This is combined with an improved operating margin (5% improvement). With its connections, Visa is involved in nearly 50% of the WORLD’S card transactions. As a potential shareholder, while the current dividend yields are low, the payout has increased 7 times in the past 8 years. So that’s a promising note for long-term holders. I’m liking what I’m seeing, but we have to go further so we know when to jump in. For our second point of IDDA we’ll look at Visa V Stock’s technicals. Visa is trading roughly 1.8% below an all-time high of 114. Let’s take a look at some trends. I am really digging what I’m seeing her. First, it’s a fairly tight climb to the top, indicating that the stock doesn’t necessarily take wild swings. The earnings release don’t really move the stock too much, but that’s okay. Also, at first glance, looks like there are plenty of dips and valleys where we can jump in on Visa V Stock. Let’s take a look at additional analysis to be sure. Performing the Fibonacci retracement, we can see that we have immediate support set at 106.17; but an earnings miss or other bad news could see the stock fall to as low as 96.58 (however, I don’t think we’ll be seeing that happen – for what it’s worth). The all-time high of 114.74 is our initial resistance but it’s worth noting the bullish Ichimoku cloud and continued revenue growth and a strong earnings report could see us push past that ceiling! As is my pattern, I do like to see what the 4-hour chart will show us. I switched to 4 hours and a 6-month lookback. We still see a bullish ichimoku cloud, but immediate support set at 109.61. Our strategy could be built upon these different support levels allowing us to take advantage of Visa V Stock’s peaks and valleys. Before we jump into some of my favorite charts, I do want to remind folks that Kiana is educating us on more than just stocks. She talks crypto and forex as well. She’s supplying strategies from all over the market and the world so be sure you take advantage! The signals are weak, but looking positive. These aren’t the strongest signals, but I’d say they don’t necessarily disagree with our bullish Ichimoku cloud. The MacD looks poised to suggest another small uptick and the RSI indicates there’s room to move up. All-in-all, I’m liking what I’m seeing. Folks remember – the only certainties in life are death and taxes. As such, while I do my best to give you a glimpse at a stock only you can calculate your risk tolerance before deciding on the investment strategy that is suitable for your portfolio. If you want to invest, but a lot of the terms you read today intimidate you, I suggest you sign up for a free master class to learn more! Of note, Visa V Stock’s beta is 1.05 – which means it moves almost right in line with the market. With the way the markets have been going, that could be a good thing. There you go! Full disclosure, Visa V stock is NOT part of my portfolio, but I am considering taking action based on my analysis here. Feel free to bring your questions about Visa or other stocks, forex, or cryptocurrencies to our Investing Group. We’d love to hear your thoughts! Previous PostWhat's Next for Bitcoin, Litecoin, Ethereum in 2018?